Diamondback dates right back to 1977 and so they know all about bikes. 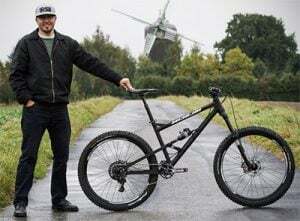 It is true, a few years ago Diamondback was only known for budget mountain bikes but ever since they launched their Podium model which started to gain popularity and good feedback, they have been unstoppable. Today, average Diamondback road bike is beautiful and in most cases, reliable too. They offer quite a multitude of road bikes ranging from those for entry-level riders to high-end professionals. In all classes, they aim for the best possible quality while maintaining price balance. 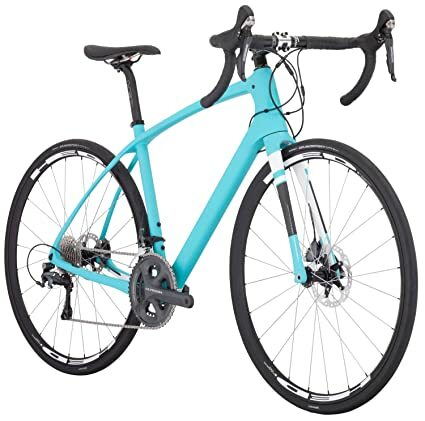 What you will notice is that Diamondback is focused mainly on online sales and the other thing you have probably seen is the tremendous trend of Diamondback bikes on streets. So, let’s have a look at what we need to know about these. If we start with entry-level road bikes, then Diamondback tends to use mainly Shimano parts for bikes in this class and they typically have Claris components. As we go up the classes, the components get better and so do the frame materials. Diamondback also uses third-party components (like FSA and DRB) if they add more value to the bikes. Note that there might be weak parts of some bikes, so make sure and change when need be. From the beginning, there are different road type classes for men, women, and kids which I am all going to cover in this page. They offer different levels from beginner to pro. But that’s not all – they go even more specific by creating subcategories. If you are familiar with Diamondback bikes then you know that even for a newborn baby there is a fatbike – a bike with huge tires. These brought about some refreshing in road bike world also – bringing in alternative road bikes. For entry-level riders, they offer an Insight series. 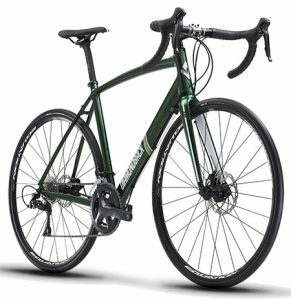 In other words, it’s more like hybrid bikes but Diamondback moves it into its own category. I would like to say that the Insight series is a real entry bike series for road bikes. They don’t have a drop bar or any features which road bikes have and run on entry-level details (Shimano Altus, TX and EF-51 components etc). To Whom: This class is meant more for those entry-level riders, who like to ride on both – tarmac and trails. It’s important to know that these bikes can be your best pals if you take care of it. I am not the kind of person who says that because a bike is cheap it is bad. I started racing with cheap bikes. And yes, it was a hell of a hard thing to do but I managed to make it and then I began to invest more on bikes. If you’re just a Sunday rider then obviously this can do well for years. 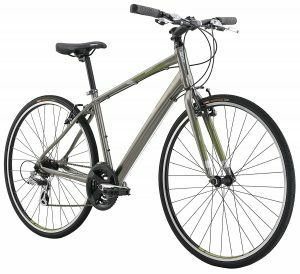 Century is the most popular class of Diamondback road bikes. It contains 6 different models from Century sport to Century 5 carbon. Talking about frame materials, there are 4 aluminum and 2 carbon frames. The lowest road bike in the series – carbon frame starts from $2,500. The big advantage is that they all come with disc brakes. If we talk about the frame geometry, which is basically the main aspect which tells you whether a bike is comfortable or not; The Century series has a taller head set which makes the position much more upright and so it’s more comfortable. It’s not as aerodynamic but for such, you’ll need a next class bike anyway. To Whom: The Diamondback Century series is meant for entry-level riders who want to try out road biking. 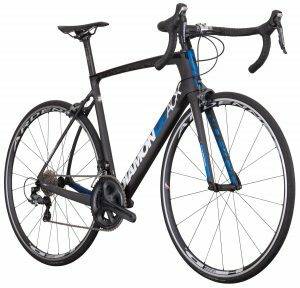 If you’re interested in road biking but not sure whether or not you will like it after few years, then you can start with a low-end century series bike. However, if you want something more reliable for your training, you can pick something with a carbon frame. In this case, you don’t overpay if you don’t race a lot. Since it’s the most popular road bike class that Diamondback makes, let’s take a deeper look. This class starts with Shimano Claris components. If you’re making your first rides with a road bike, then those can do fine. Models go up by from Sora on Century- Shimano 105 on Century 1 to Ultegra on Century 2 with carbon form. Prices end somewhere around $1,800. If we go further, then we find 2 carbon frame bikes. Diamondback Century 4 carbon offers a carbon frame and fork with Shimano 105 components. It uses pretty much HED parts which in this class work fine. Both of the models offer internal cable routing for better aerodynamics. SIZES: All of those bikes have at least 5 different sizes. To Whom: Diamondback Podium series is meant for serious racing enthusiasts. They are not entry level bikes and the frame geometry and components allow you to achieve good biking results. On the downside, they are expensive but it’s the same case with all manufacturers –racing classes tend to last longer, are lighter, with better components and come with the price. Hence, the only choice to achieve maximum results in your training. Diamondback E’tape, Vitesse, Vitesse Di2 and Equipe. Which weigh from 16.1 lbs to 15.4lbs and go from Shimano 105 to Di2 components. Podium series Diamondback road bikes are total top-notch picks! This is one category I wrote on as a sub-category. If you’re not familiar with the cycling scene then you might be wondering what this is? Let me explain, there are hybrid bikes, which you can use both on gravel and on a tarmac. This is something like a 50% road bike – 50% mountain bike. Its price scale is quite friendly and offers both aluminum and carbon frames. To Whom: Alternative Haanjo / Haanjenn series bikes are meant for a person who likes mainly to ride many miles on hard roads. But not only that, if you feel like, you could turn to a forest and enjoy the trails. Of course, this bike isn’t as capable on both tarmac and trails. But you can do both with this bike which makes great for this purpose. If you like the radical design, then you will love this series. This is the top-notch category Diamondback makes. This series is meant for TT races and tested with hundreds (if not thousands!) of hours in a wind tunnel. I probably don’t have to say but these bikes look hell-fast too! The engineers who came up with these bikes definitely smile when they look at this series because it’s one of the fastest series on earth! To Whom: Andean series is meant for Time trial (TT) and triathlon rides and as the name says, it is a very serious thing for a real rider. Put together with the best components and a well-built carbon frame it can take you to the next level. There are the 1, 2 and 3 series. If you want to roll on the best aerodynamic level, then this is for you, definitely. The Andean Series is like the Lamborghini in the bike scene. You can also customize your own Andrean series bike on the Custom Studio (read below). This is equipped with all the possible components on the market. The team of engineers tackled the problem of a drag. 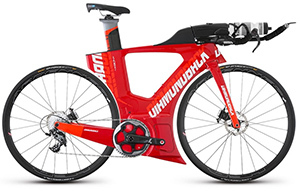 It’s said that it might be the fastest triathlon bike on the market. Well, you must try it out! There are two things that I like. 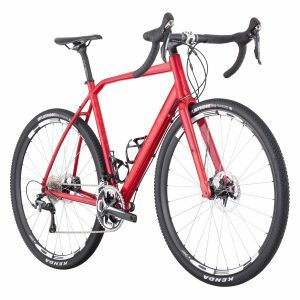 First – it’s for women and second – there are three different classes of Diamondback road bikes here! In this Diamondback women bike review, I’m gonna teach you the basics of what you need to know about the different bikes. So, let’s start from the beginning, I’m gonna review all the Diamondback women bike classes. Clarity series is good for entry-level women riders who want to ride on and off the road. This bike is pretty much like hybrid bikes, but Diamondback calls them road bikes. However, they offer you both comfort and fitness and you can start cycling on roads or in a forest. To whom: What I would like to point out is that when women who don’t ride quite often rides a mountain bike, she doesn’t use it to its full capacity and when she uses a road bike, then she must be careful as different situations could arise. Therefore this Clarity series is an ideal balance between money and quality. 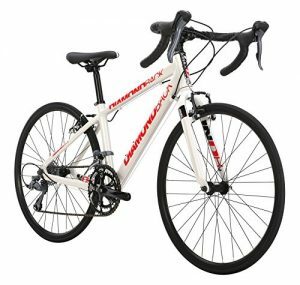 It tends to be lighter than mountain bikes and more comfortable than average Diamondback road bike. Clarity series bikes cost around $450 – $600 and for the money, they are reliable. 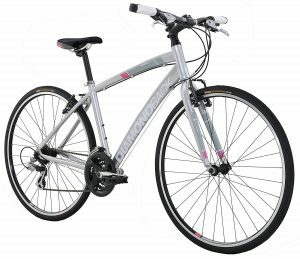 Diamondback’s Arden series is specially designed for women who want to get an even more road biking experience. There are 5 different Arden models, from Arden 1 (Sport) to Arden 5 Carbon. Prices go from $800 to around $3,200 for the pro class. Arden’s first model Arden Sport has an aluminum frame with Shimano Claris components and goes up to carbon on the Arden 5 Carbon model. There are actually two available carbon models but the top-notch model is Arden 5 carbon with Ultegra components and weighs somewhere around 19.5 pounds. It’s not the heaviest for carbon but you can easily upgrade it by changing the gears to lighter ones. To Whom: Arden series is meant for women who are really into road biking. You can choose to make your first steps in road biking with the Arden 2 model or the higher Arden 5 Carbon model depending on your needs. Every bike on next level weighs less and has better components. With this series you can start making your exercises and definitely without holding down your results. This Diamondback Haanjenn series is meant for road bike enthusiasts who like to turn to the forest too. Basically it’s like a hybrid bike which has a better up-right position. To me, it differs from a hybrid bike in that it has a more aerodynamic position. Not too low, but a more performance oriented frame geometry. To Whom: Basically, the Haanjenn series is the same as the Haanjo series for men. It is meant for those who like to ride on different kinds of roads. What I really like about the Haanjenn women series it that mountain bikes are an overkill for most of the women because they never use the advantages of mountain bikes. Also when using as a road bike, you must choose the road and edges in order not to get flat tire. Diamondback offers different selections of road bikes for kids. Starting from bikes with extra-wheels to BMX and Cruisers. Their prices start from $170 to $250. Kid performance bikes are meant for kids from the age of 5 to offer the next step to cycling. They have 20” wheels and entry-level Shimano components. To give kids a good overview of the bikes, they have also gears. There are also alternative road bikes for kids offered by – the Haanjo series. What they have is disc brakes and tires with the pattern which makes them good on road and mountains. They are close to hybrid bikes and cost around $500 to $750. 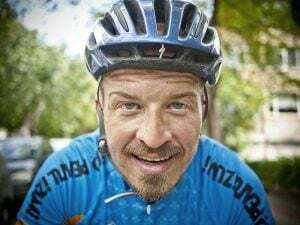 If we go up, then there are proper road bikes for kids – Podium series. There are 2 different models – from 24” wheels to 700c wheels. These Diamondback Podium series are meant for kids, who have shown interest in road biking. Diamondback Custom Studio – What Is It? When I first saw it, I was impressed. It’s the place where you can customize your bike according to your needs. Both the visual aspect (thoroughness) and the technical side. At the moment, they do only triathlon bikes (Andean or Serios series). But for triathletes, those are superb bikes. I hope they move other bikes there too. You can pick a color with Andean (between black and Red), Serios have only matte black. WHEELS – FRONT– HED Jet 4, 6 or 9 or downgrade to HED Ardennes Plus. Also, you can pick the Decal colors between 7 variations. REAR – Same plus carbon Aero disc. BARS – Different bars – 3 different base bars and 5 clip-on bars. You can also pick 8 different bar tape colors. SIZE – You can use your pad stack and pad reach to calculate it. There’s also good guide for it. So with this feature, you can design a bike you really like. I really hope that there will be a larger selection of bikes. Diamondback offers a pretty wide range of sizes. Typically 4-5 sizes for everyone. You can read this anywhere, the geometry is comfortable even with the entry-level models. There might be some issues depending on your leg and hand length which could make you want to change the stem. This is to give you a better riding position. However, the sizing charts show pretty well, what size you need. 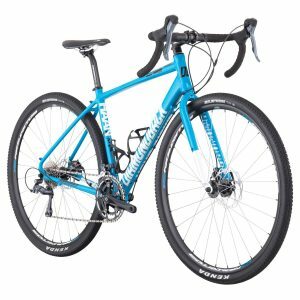 How to Choose Diamondback Road Bikes? 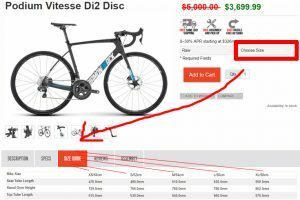 First of all, you need to find the proper type for your riding preferences (Ordinary road bike, alternative or race bike. 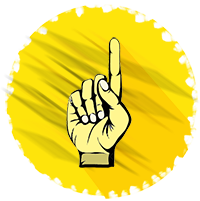 Pick the right class – Are you a trainer or you take part of the races. Have a question, feel free to ask below. What I really like about the Haanjenn women series it that mountain bikes are an overkill for most of the women because they never use the advantages of mountain bikes. Well that comes across sexist af.